Going back to work after a long holiday weekend can be tough. One moment we’re celebrating with cook outs and country music, and the next moment it’s alarm clocks and coffee cups. Luckily, when you work in the world of digital marketing, there is always something new and exciting to look forward to come Monday morning. And this week, we found that Google was launching more than just fireworks. Ratings from Google My Business listings are now eligible to appear in search ads with location extensions enabled. Let’s break down this highly anticipated new feature, and why it’s important to you. A: This is how Google serves your basic business information to users searching for products and services in your area. Q: Why do I need to have reviews? A: There are two main reasons for this. First, your local search ranking relies heavily on the amount of quality reviews you have. 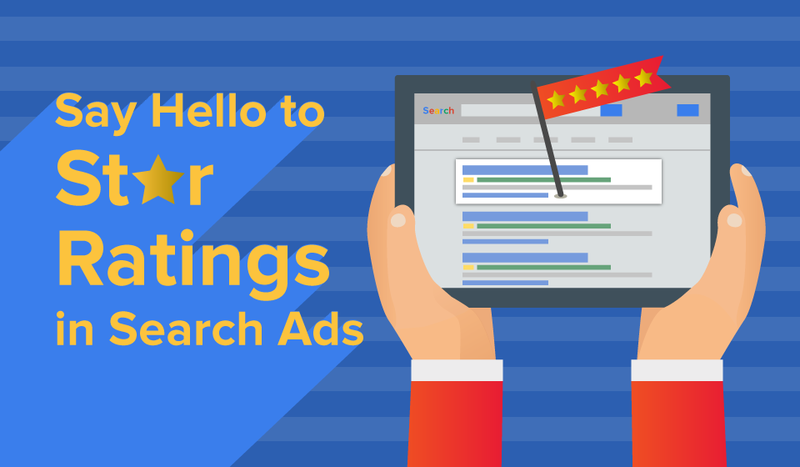 If your competitors have more reviews than you, Google will want to show them first. Second, users simply depend on them when making a decision. In fact, 90 percent of consumers say their purchase decisions are influenced by online reviews. (Photo: AdWords) By having Google My Business ratings eligible to appear in search ads, your business is further validated to potential consumers. Q: Where does paid advertising come into play? A: Simply put, paid ads allow your business to be found faster and more often under the search terms of your choice. Google knows there is an added benefit to combining a local search strategy with paid advertising – so at this time last year, they allowed businesses to link their My Business page to their paid ads account. Now, one year later, they are further improving this idea by including a star rating right there in the ad itself. This means that those reviews you have worked so hard to accrue can now be found by an even wider audience through paid advertising which further validates your business. A: In short, this is huge. The importance of local search, paid advertising and a review strategy is only increasing. The benefits that each of these marketing methods bring on their own can make or break your business – and now that they’re integrated.